Adam is a Master in Digital Marketing from the Bradford University and has also done numerous Google Certification courses. she is not only a professional blogger but also providing his expertise in marketing to the online academic writing companies who provide the assignment assistance online to the students in need. Digital marketing is the name of the game which is not only making the rich richer but also helping the newbies to earn more. With the help of digital marketing, numerous businesses are reaching out those customers whom they cannot reach physically. Facebook, Twitter, LinkedIn and many other social media websites are the preferred platforms of the digital marketers to build their business. Moreover, these websites are also providing assistance to digital marketers by introducing new and helpful updates in their algorithm. Though, YouTube is a website which is winning the game by offering great opportunities for earning with the help of AdSense. Since the YouTube made earning money easy for everyone, many people are in search of finding the ways through which they can increase their earning. Being a digital marketer, I also get such questions from layman a lot. That is I decided, to write an article in which I can help you people by mentioning the ways through which anyone can increase YouTube RPM to boost AdSense earnings. You must be doing your best for making your videos different and unique from others and entertaining. That is why I am not asking you to improve your videos but suggesting to improve the environment of your videos. You have to manage your videos in a way that it look to be a well-organized page which you can make by below points. • You have to make YouTube-friendly videos. Your videos should look raw instead of too much formal like the movies or TV series. People like to see raw footages from which they can relate themselves. That is why your videos should be YouTube friendly. • Do not upload your videos randomly. You have to schedule your post. If you have the subscribers, then they should know your pattern and schedule of posting the videos. 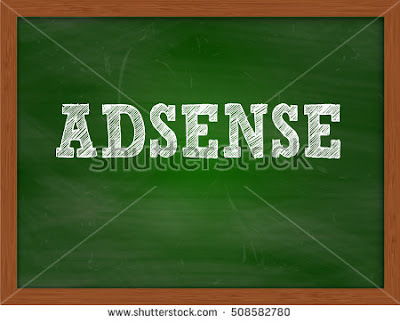 This will not only make you keep your channel subscribed but also will help you in earning from the AdSense. If you post 50 videos in the first month, you will not earn anything due to low views. But if you plan it and post according to your subscribers then you can earn through this. • Describe your videos in detail. Use some SEO tactics by giving the right tags to your videos so it can be shown on searching on the search engines. • Create a catchy thumbnail through which the YouTuber gets attract and click your video. The best way to improve your earning through YouTube RPM is to get the ads which are most willing to pay you. You are a YouTube partner, and the first thing you can do to increase your ads is to get listed on the search engines result page. You should use high ranking keywords in the description of your channel or your videos so the Google or any other search engine can show your channel at the top of its result page. The better your keywords would be, the more traffic you will get. More traffic means better ads showing which will ultimately transform into your earning. Your luck can work in a couple of videos which could be a bedrock of your channel. However building a long term viewership YouTube channel is not an easy task. For this, you have to do a complete branding of your channel. If you have any blog, website or company, then you should carry your logo and colors in your videos too. This will help your users to connect your presence in different places. If you only have your channel, then you must carry your style throughout in your videos, thumbnails and the theme of your channel too. You can do this by completing all of your profile information, by using a customized cover photo or by customizing your background by using a color which suits the style or branding of your company. Using all the social media platforms can make you earn a lot. Not every Internet user visit the YouTube daily. Many use Facebook, many who are on Twitter and many only have an account on LinkedIn. Use these platforms as well to divert the users of these platforms towards your YouTube channel. This will not only help you in reaching out a broader audience but also help you in getting more views which are the most basic need to increase your AdSense earnings. Getting the social media shares and likes is a viral sign for the YouTube that a particular channel is getting the better reach which means this should deserve better ads which in turn increase YouTube RPM. Try to increase engagement on your videos on the social media platforms because this is the only factor which increases the YouTube RPM and can help you in earning a lot.